The Championship is a league that never fails to amaze, and what a fantastic season it has proven to be yet again, with the battle for second place going right to the last day at the Riverside Stadium. In a four part series All Out Football is going to run the rule over all twenty-four teams and assess how the campaign has fared for them. It’s a mixed bag for Hull in my opinion, yes you can argue they finished 4th, but the system and style Steve Bruce has them playing is nothing short of dismal. Whenever I see them play it’s the same boring, negative football that no one wants to see. The dirty tactics and constant time wasting was there for all to see. The only positives I can think of for Hull is that by being this stale team with no flair, they are very well drilled at the back with Michael Dawson and Curtis Davies leading by example. 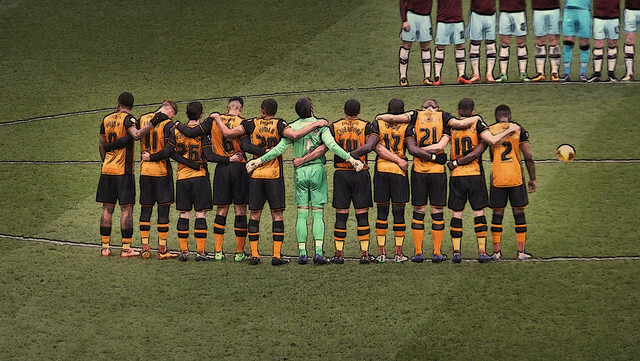 To round it up, if the Tigers do win at Wembley, it is a travesty for football. After last years play-off heartbreak, I think Ipswich have followed it up with a very impressive season, the reason being down to the strength of the playing squad. You have to feel again big Mick McCarthy has done another stellar job with an average team. Last year’s top scorer Daryl Murphy didn’t quite hit the standards he had set, and again David McGoldrick had yet another injury hit season. Brett Pitman had a fine first season hitting double figures in all competitions. 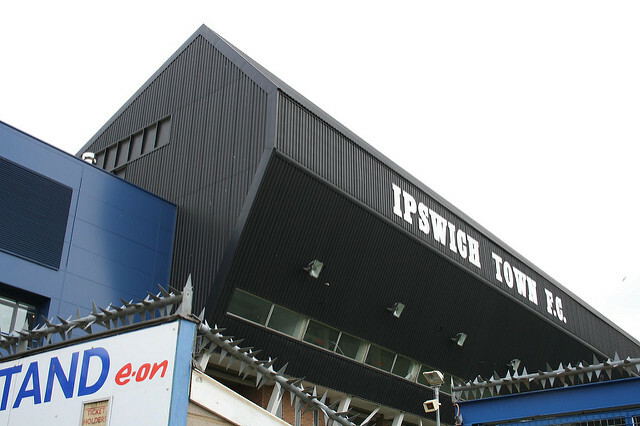 Ipswich are as solid as it gets in the Championship, however, maybe it is time for a managerial change as McCarthy has taken them as far as he can. Finishing in 13th should be seen as a fairly decent campaign for the Yorkshire outfit, as things might have been worse if it weren’t for the job Steve Evans did toward the end of the season. The youthful talent that Leeds possess really shone through this year, Lewis Cook being one of them. The England under 21 international really took the midfield spot for himself and with the way he looks after the ball and makes clever runs in the box, it’s very hard to forget that he is only 19, what a talent. Chris Wood enjoyed a very good debut season at Elland road, bagging 13 goals is no easy task. The signs are there for Leeds next season to keep pushing, but Cellino needs to stop intervening for the club to move forwards as a whole. They’ve finally done it! After taking a massive gamble and bringing in a wealth of talent in the summer, Boro are finally back in the top flight. The arrival of Stewart Downing in particular brought that connection with the fans and the hope that this would be their year. Karanka found a way of winning games, the Teesiders weren’t always at their best, but the resolute, fully bloodied performances of the back line is the main reason behind their success. The 22 clean sheets was the highest in the division and that speaks for itself. The arrival of Jordan Rhodes was massive for them in January and got them over the line with his natural finishing ability and clinical nature. A great job all-round from everyone at Boro! Relegation, yes. But you can’t take away from the fact that they gave it a good go, and for this reason I’m giving them a C. The Dons really didn’t have a good enough squad to have a chance of competing in my opinion but they continued to go about their business in the right manner, sticking to what they know, playing out from the back and for that you can’t fault them. You could argue that the recruitment should’ve been better in the summer but there were some stand out performers, Josh Murphy was a real bright spark out wide, as well as the ever present Dean Lewington. I’m sure if they stick with Karl Robinson the Dons will be back. A fairly average season for Forest, in a campaign which could’ve ended in tears for the 2 time European champions. It was always going to be a struggle with the transfer embargo and the usual packed injury list that they always seem to have, with the likes of Assombalonga, Fryatt and Cohen all missing the majority of the campaign. There was a few stand out performers for the Reds this season. Player of the year Dorus De Vries enjoyed a quite brilliant spell on the banks of the Trent. Henri Lansbury is a player often raved about, and again had a fine showing, looking a class above in his position and looking an absolute steal at £1m. Nelson Oliveira had a stellar loan spell and showed his international class grabbing 9 goals along the way. With Forest now out of the embargo, good times could be ahead for the Trickies! What you make of your grade? Let us know in the comments below!